The tunnels that the Dwarves once thought safe, now fall prey, due to their complacency, to the simplest of Underdark traps. 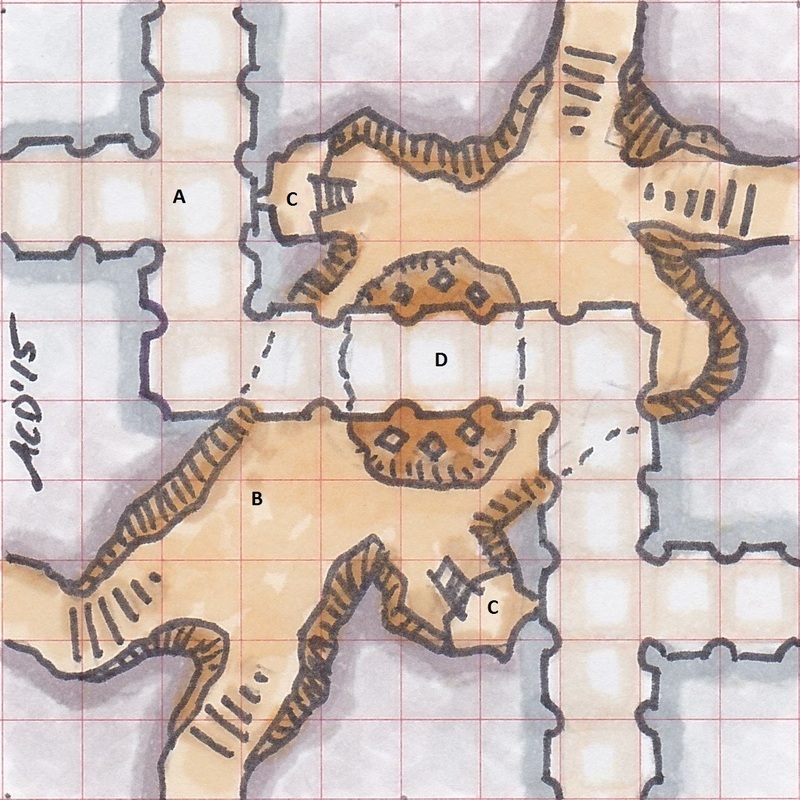 (A) The Dwarven hallways, with their ornate and timeless decorations, meander through the depths. 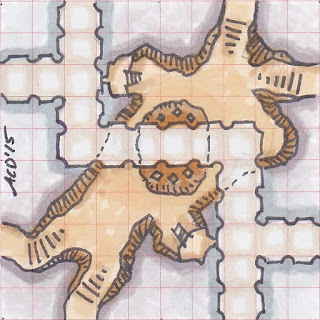 (B) Their enemies (variously Orcs, Kobolds or other digging races) delve underneath and about those passageways. (C) Concealed nooks provide spots for spies to watch for high value targets. (D) Below the weakened floor, a deep deadly spiked pit awaits, eager enemies filling the chamber between. 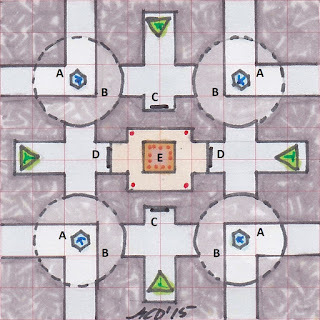 The passageways in the Vault of the Titan converge on the central chamber but may never reach it. 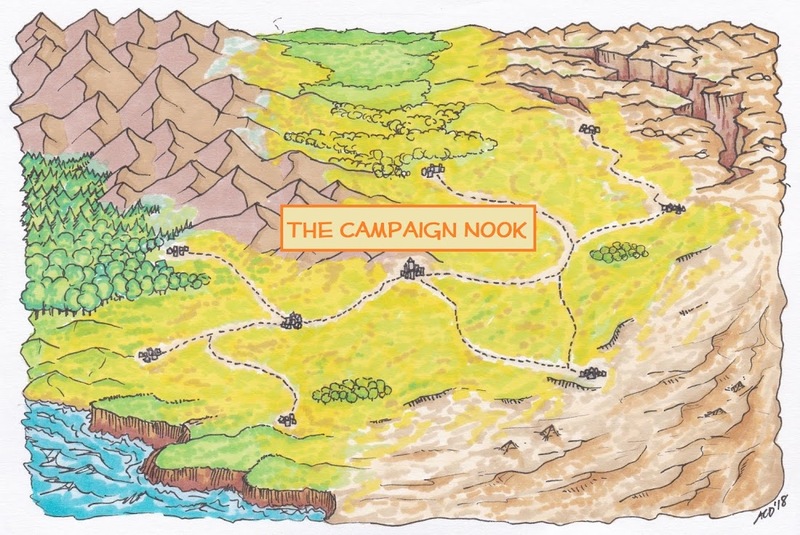 (A) Explorers encounter animations who question the intruders. Their answers cause the corner hall to rotate (B) in various directions. 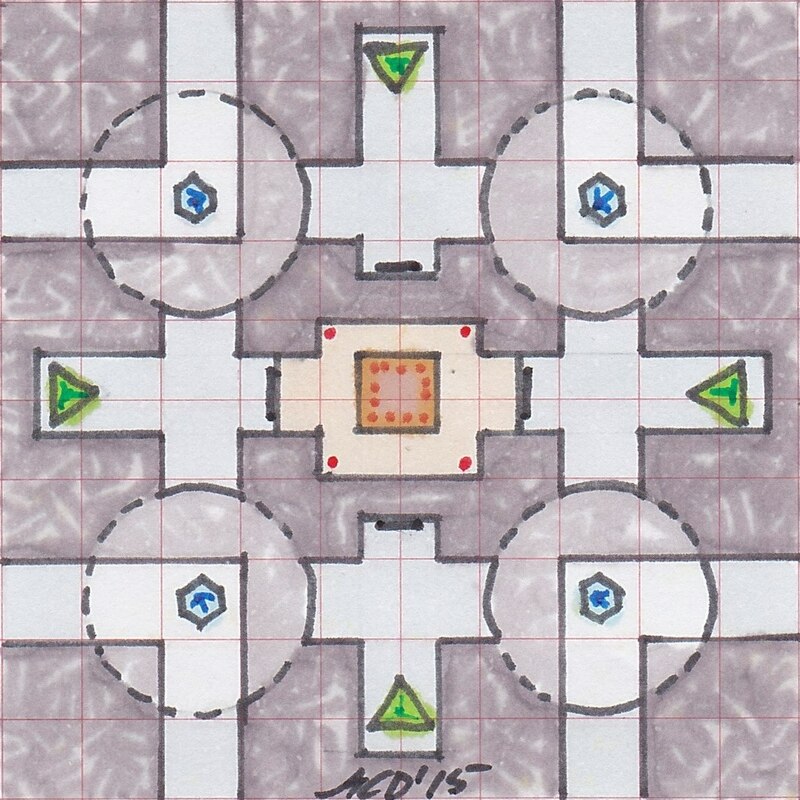 Some lead to corridors with dead-end secret doors (C) triggering terrible traps. Others lead to identical paths with working secret doors (D) (but retaining possibly deadly traps) leading to the Titan's Vault (E) and its defenses, traps and treasures therein. 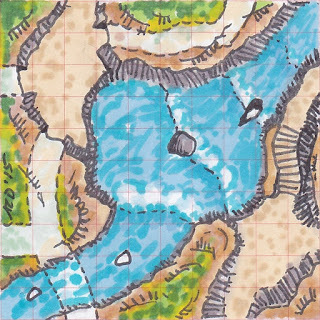 For the 5th #geomorphmapcontest theme of #water (http://inkwellideas.com/2015/06/tomb-geomorphmapcontest-winners-next-contest-announced/ ) In the deeps, rivers inexorably carve their path through the softer stone. 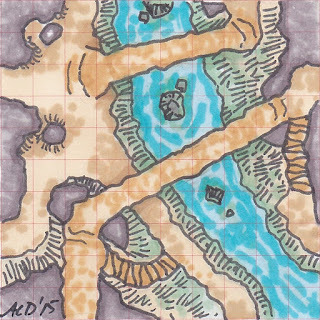 The process sometimes leaves arches of harder material spanning the waters. Those arches becomes bridges used by the denizens of the deep. Here at the #crossroads two such bridges, one high and one low, cross the Greencold Flow.